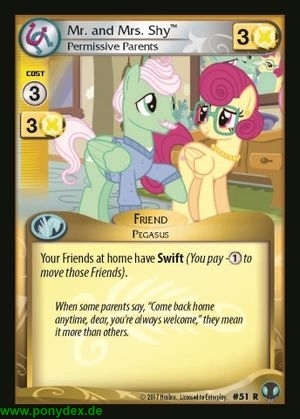 Your Friends at home have Swift (You may move this card for 1 fewer action tokens.). When some ponies say, "Come back home anytime, dear, you're always welcome." they mean it more than others.